PLEASE NOTE: iPhone 4 is currently not supported. 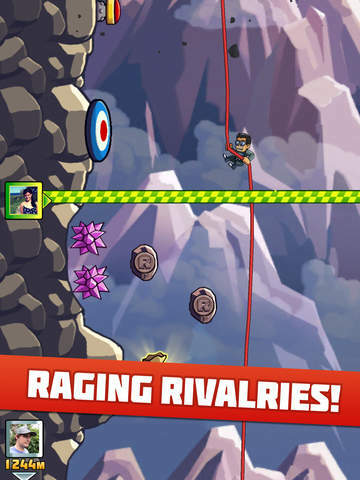 The creators of Fruit Ninja and Jetpack Joyride are back with a brand new game for adrenaline junkies around the world! Feel the rush and hold on tight as you rappel down mountains at breakneck speed. 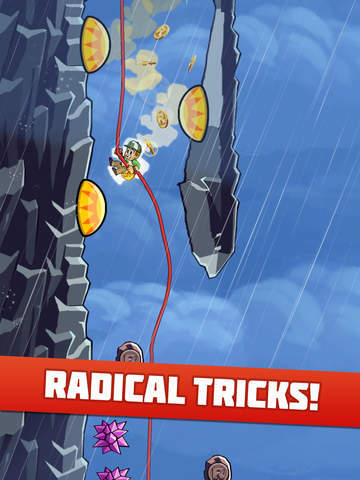 Pull off death-defying tricks by ricocheting between launch pads, riding rainbows and rocketing over obstacles in the most redonkulous adventure ever. Rack up coins and complete rockin’ missions to unlock sweet new gear for Rip and Roxy, the most fearless risk-takers on the planet. It’s random. It’s ridiculous. It’s really, really rad. Play for FREE now! Choose your favourite rappeller, each with unique quests and collectibles! Raise the bar with a huge range of heart-stopping tricks and epic manoeuvres! Roll the Randomizer to equip game-changing power-ups like Recoil Boots and Revives! 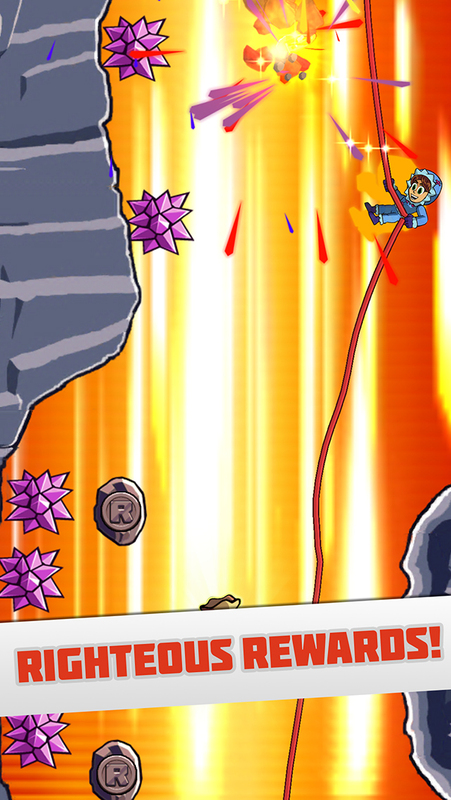 Chain tricks and maintain momentum to fill the Remix Bar and become invincible! Compete against friends to cement your spot as the craziest thrill-seeker on the planet! Hold on to your socks, Rappellers! 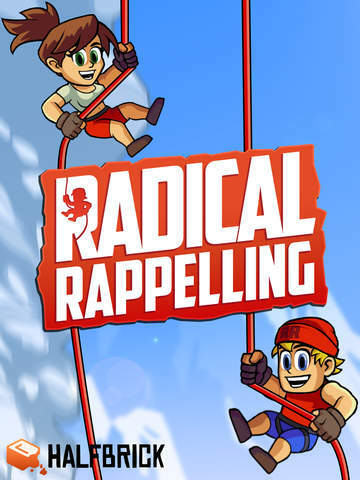 It’s all going down in Radical Rappelling with Fruit Ninja’s 5th anniversary! RADICAL NEW COSTUMES – Body harnesses are out, ninja suits are in! Join the ultimate ninja celebration by dressing up Rip and Roxy as famous characters from Fruit Ninja! This party is gonna be ridiculously JUICY, so come join the fun!